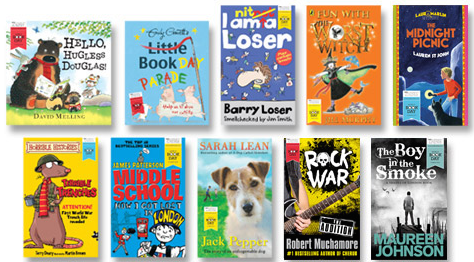 Another World Book Day has come and gone, but never fear, because we still have the full range of WBD titles in-store for you to exchange for your voucher. 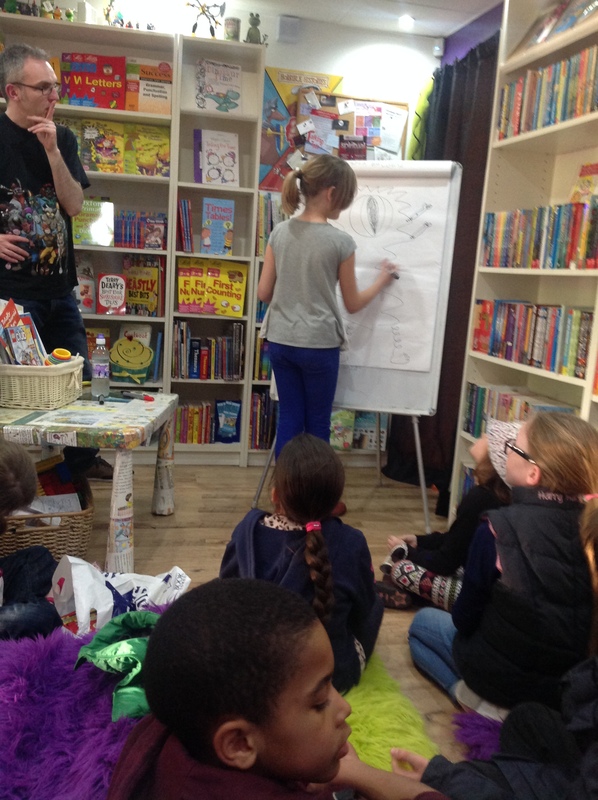 We celebrated WBD in style (as always) this weekend, with a fab author event. 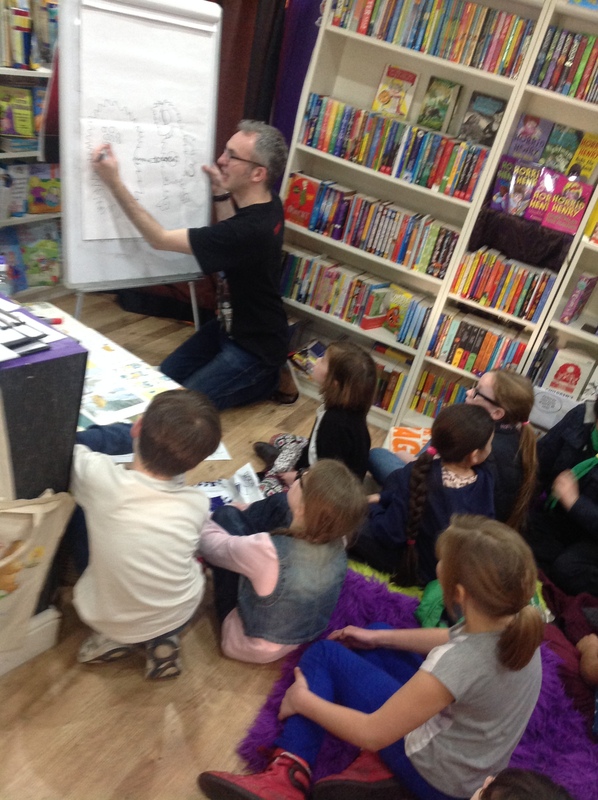 The brilliant David O’Connell joined us for the afternoon, along with a great bunch of very enthusiastic young writers, who were keen to spend some time with a ‘real’ author. 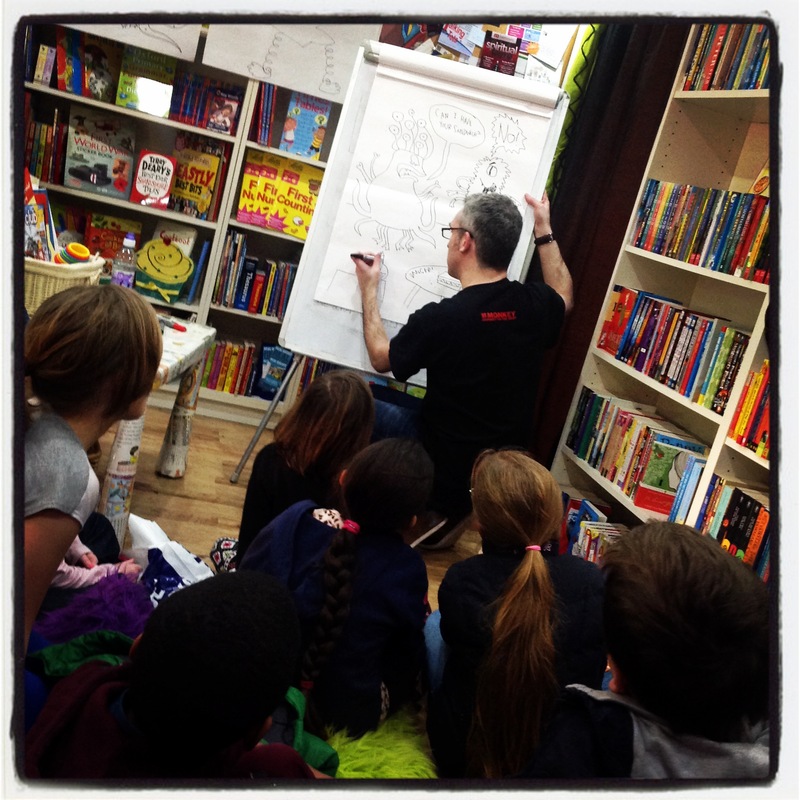 As well as reading from his hilarious book, Monster and Chips, David also drew some pretty crazy monsters, inspired by the children’s suggestions. 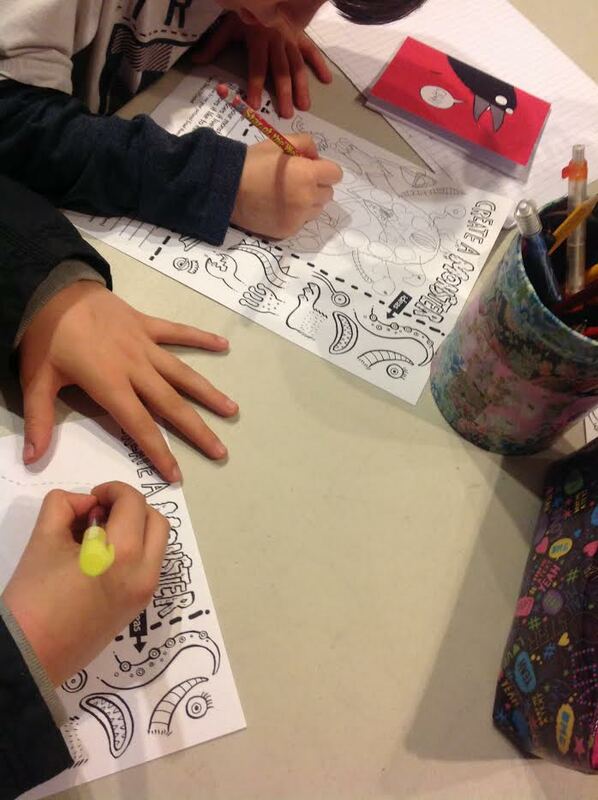 David spurred the group on to develop their ideas into a weird and wonderful comic style story, before they then designed and wrote about their own crazy monsters. The children became part of the process…Dr Frankenspring lives! Behold, a masterpiece is born. 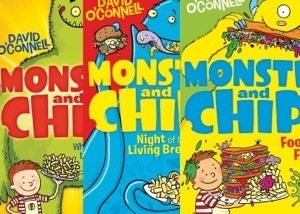 We can’t wait for the third book in the series to be published this summer!